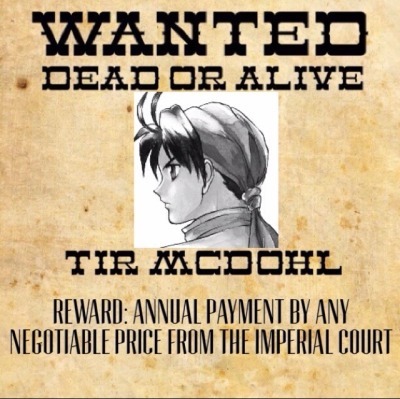 One would think that the Tenkai stars would have large bounties on their heads for opposing tyrannical and/or corrupt regimes. 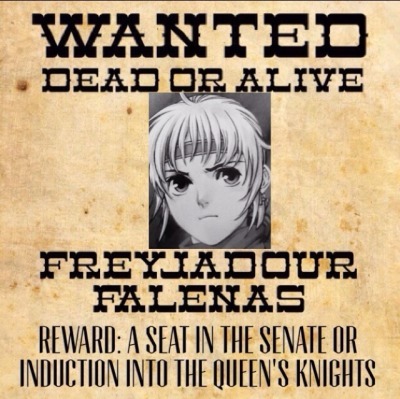 I made some wanted posters that would be in the final stretch of their respective wars as the villainous factions would be at their most desperate. I've came with an army who loves death like Yours loves live. 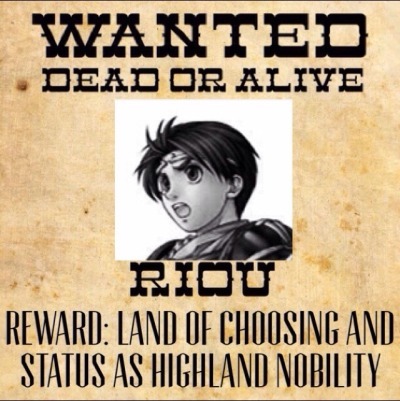 Hugo wasn't a tenkai star. 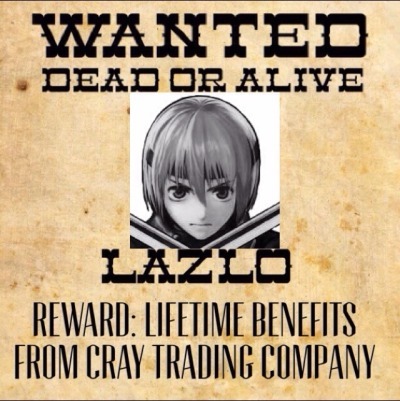 I thought about making one for Hugo but he wasn't a Tenkai star and I don't think Luc would put a price on Hugo's head. Well, if you're concerned about details like that, I don't think the Suikoden world includes printing presses or cameras. Even if both exist, I wonder how likely the enemy is to have access to 8x10, glossy head-shots of the rebel leaders. This is kind of a neat idea. From an artistic standpoint, I wish you'd done more than slap a JPEG on a template. Looking at them as the equivalent of our 19th century wanted posters, the border of the wanted persons photos are too fine, and they probably couldn't have produced those white backgrounds without layering paper or using two different printing processes. Actually I like the satirical aspect of 19th century western style. I don't get the point about focusing on Tenkai, I'd just take the most suitable characters, outlaws in secret hideouts, e.g. Odessa, so I like the Tir and Frey posters, while the Riou one doesn't really make sense to me. Anyway, very nice piece of work!